By using a few simple techniques, along with NOVUS Plastic Clean & Shine No. 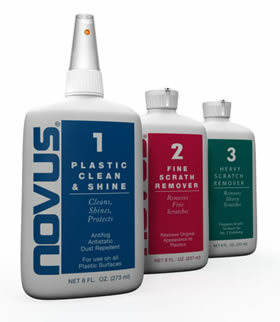 1, NOVUS Fine Scratch Remover No. 2 & NOVUS Heavy Scratch Remover No. 3, you can actually add life to plastic and keep it looking new. Best of all, you don't have to be a pro to get professional results. 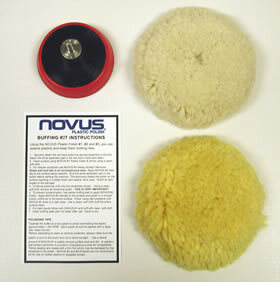 NOVUS has been the best kept secret for years, but the word has gotten out to millions of people that NOVUS can restore and clean your plastic/acrylic products. 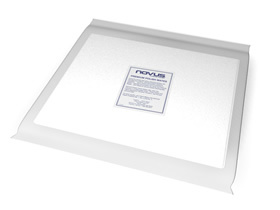 NOVUS Polishes have saved manufacturers and consumers millions of dollars over our 30 years in business. Don't settle for anything but the very best!